Thomas Muller hopes Germany's semi-final disappointment at Euro 2016 can help to inspire them to greater heights. Joachim Low's world champions appeared well-placed to add the European crown to an impressive body of work over recent years, but bowed out as Antoine Griezmann scored a goal in each half to seal a 2-0 win for hosts France in Marseille. France lost 1-0 to Portugal after extra time in the final, while Bayern Munich forward Muller – who failed to find the net during the tournament – wants Germany to build on lessons learned for their 2018 World Cup defence in Russia. "Everyone saw the Euros, we were close but in the semi-final it just didn't work out," he said. "But you need to take the positives with you to the future, get new motivation from it. I'm just happy we can breathe now. "If we look at how the tournament went, we can say we left the tournament with pride, although we didn't reach what we wanted. But that's football. "Portugal won the title in a way that might be surprising in the end. "Football is a game with tight results in which you don't need to be the dominant team, if you're a bit lucky and make the right decision at the right time then you can be as successful as well. That's what the tournament showed." 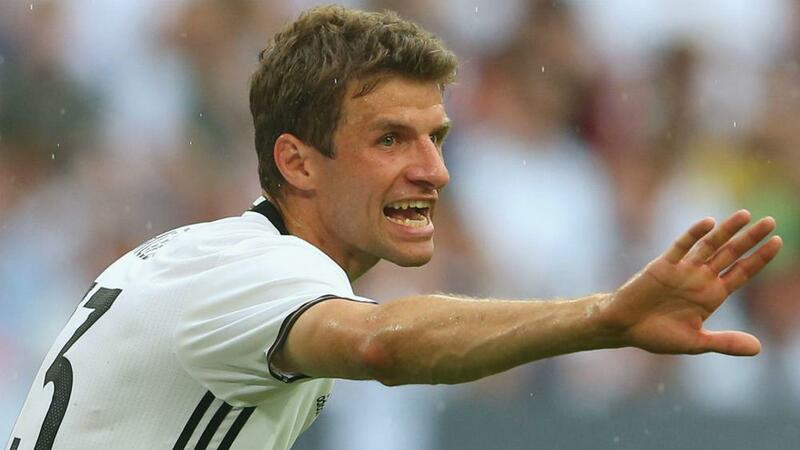 Muller was impressed by the form of centre-back Mats Hummels at the tournament. Hummels, who was suspended for the loss to France after collecting two yellow cards across the preceding five matches, agreed terms on a switch from Borussia Dortmund to Bayern Munich. "I congratulated him on July 1 that he's officially at Bayern now," Muller said. "Sure we had some fun. Everything was decided before the Euros. We are really looking forward. "Mats played great at the Euros. That's very positive for us." Hummels and Muller will be coached by Italian great Carlo Ancelotti next season following Pep Guardiola's departure to Manchester City. "Well we spoke in English," said Muller on his initial meeting with Ancelotti. "He's a very pleasant guy, just as you'd expect. "I spoke with Toni Kroos, who worked with him in Madrid. I'm looking forward to working together with Ancelotti. "How the training will be, I can only answer that in four weeks. But in general it was a good first talk. I think the impression I had of him was confirmed."